The word “ace” or “air ace” was first used by French newspapers during the First World War. It was bestowed on military aviators and weapon systems officers who had shot down several enemy aircraft during aerial combat. After downing several German aircraft, the French newspapers christened Adolphe Pégoud as the first French fighter ace during the First World War. Since then, shooting down a minimum of five aircraft became the standard proviso. The title was only awarded to fighter pilots, bombers or reconnaissance crew. Although the records do not have a count of all the air aces, a fairly decent list has been recovered over time through reconstruction of what little information was available post-World War. The restoration and verification of these air aces involved enumerating the date of battles, location of combat and number of enemy aircraft destroyed by the pilots. Here is an unbiased list of ten famous combat fighter pilots whose exemplary achievements still shine on the pages of history. They valiantly forced down enemy aircraft during the war which, in turn, earned them the recognition of Celebrity Air Aces of the First World War. This list is far from complete as there as numerous other air aces to be acknowledged. 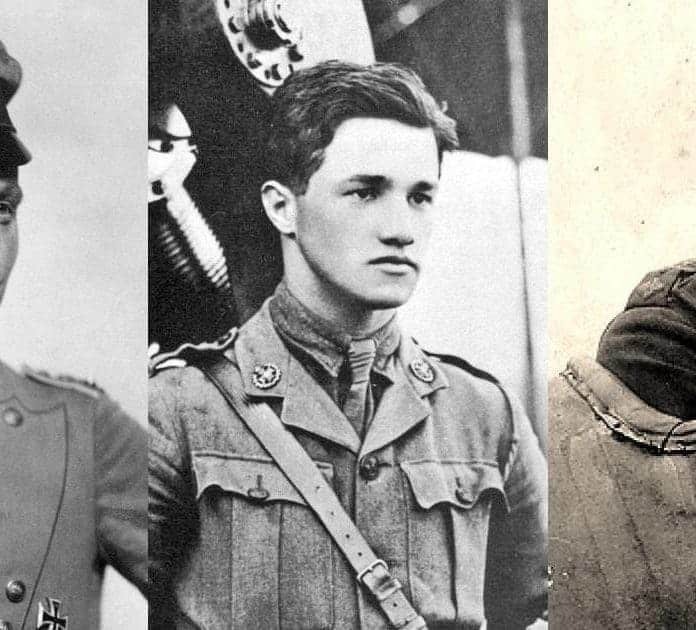 However, we believe this list has included some of the famous aviators during World War 1. Manfred Albrecht Freiherr Von Richthofen was popularly known as the “Red Baron” and was perhaps the most famous air ace of his time. He had his allegiance with the Germans and served the army for seven years, from 1911 to 1918. Fittingly called as the “ace-of-aces,” Richthofen has eighty air victories credited to his name, the highest by any fighter pilot during the First World War. He was a National hero and was even admired by his enemies. At the beginning of the War, Richthofen served as a cavalryman but later left to participate thoroughly in the war. After serving the army till 1915, he joined the Imperial Germany Army Air Service in May. Being a poor pilot initially, he crashed his first flight due to mishandling of controls, but he worked hard and gradually improved on his skills. On November 23, 1916, he downed the famous British ace, Major Lanoe Hawker, who had seven victories to his name. He changed planes several times as he needed agility more than speed. In 1917, he received the “Blue Max” which was the highest military honor of that era. Following his overwhelming success in the air, he assumed the command of the elite fighter squadron Jasta 11. He then became the leader of the “Flying Circus,” a fighter-wing formation of four Jastas. While his death is still a mystery, it is popularly believed that on April 21, 1918, Richthofen was fatally wounded by a bullet from a Canadian pilot in Northern France. He died in his seat after managing to make a rough landing on a nearby field, just next to a sector controlled by the Australian Imperial Force.